As you know, despite its flaws, we actually really enjoyed 2014's The Crew and found even more fun when the game's major graphical and content update hit last year with The Crew: Wild Run. While the visual overhaul was quite nice, it was still overshadowed by various stuttering and hitching issues. It's an issue where we noticed small skips in performance that even a frame-rate counter wasn't picking up. Thankfully, BlimBlim's venerable plug-in is here to save the day with a more accurate read-out of just what was happening. Want to see more? Follow us inside. After spending time testing the game and examining individual frames, we've determined that we're basically seeing duplicate frames when stuttering occurs. Basically, while each frame should be unique for 60 frames per second, we were seeing singular duplicate frames that were causing the stuttering. It's basically microstutter and most frame-rate read-outs miss it completely. The cause of such problems can vary from game to game but, in the case of the The Crew, we were unable to correct the frame pacing issue. It's possible to correct disturbances in frame persistence using third party tools in some cases, but that wasn't doing it here. Over on the official forums, some users have been complaining about these issues for a while now while others claim to never have experienced it. These inconsistent reports make it even more difficult to get to the bottom of the problem. During our testing, we continuously drove through one area leading us to believe that data streaming was to blame. It's one theory among many but, unfortunately, we cannot say with any real certainty as it can occur anywhere in the world. It should be mentioned that we tested multiple resolutions (including 1080p, 1440p and 4k thanks to Nvidia DSR) in addition to dropping settings. With the game having been on the market for more than 18 months now, it seems unlikely that it will ever be corrected. It's always possible that Ivory Tower will make but it's tough to say. In the meantime, PC gamers will no doubt continue to complain about these issues but at least it doesn't have a huge impact on playability – just presentation. Reminds me of Crysis microstutter I was having a while back in 32 bit version on new PC. Obviously separately downloaded 64 bit exe and libraries fixed it. Not saying it's the same here, it's just that I know how irritating it can be. 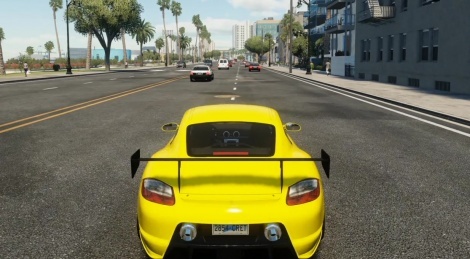 The Crew is 64 bit only though. And I did experience the very same type of 2-3 seconds of stutter, immediately it was clear in my mind that streaming was the culprit. Even SSDs cannot fix this, clearly an engine side issue, at 30fps I guess it might be okay but the streaming system was not designed for 60fps much like Arkham Knight. And also of Watch Dogs at launch on PC, it stuttered like hell. Seems it was fixed in later patches, I still have the PC copy and am planning to play it before Watch Dogs 2 release. Stuttering aside, I really hate when developers just leave their games riddled with bad bugs like this, which can significantly affect the experience and enjoyment of the game negatively. Specially in a MMO/multiplayer only game. It's this lack of commitment to a game that drives people away, both veterans who eventually get tired of encountering the same problems over and have lost all hope of them ever being fixed, and new players who after trying for a few hours, leave disappointed with the game. In comparison, on Steam Tom Clancy's The Division has 7,461 players right now, and Tom Clancy's Rainbow Six Siege has 11,117 players right now (at the time of this post). Just like Evolve, interest in The Crew has almost completely disappeared. I don't even remember the last time I read an article about it - probably a review when the Wild Run expansion DLC launched back in November 17, 2015 (8 months ago). 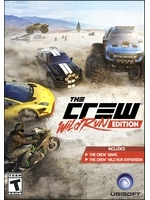 I'm not sure if Ubisoft would ever want to turn The Crew into a F2P game or just shut it down completely, but I feel that at this rate it's either one of those two choices for the game. On regards to F2P, Ubisoft did try its hand at F2P games with: The Mighty Quest for Epic Loot, Tom Clancy's Ghost Recon Phantoms, Might and Magic: Heroes Online, Tom Clancy’s EndWar Online, Anno Online, The Settlers Online, Silent Hunter Online. So, it wouldn't be the first time Ubisoft went F2P, though those games were planned and developed with F2P in mind. I'm sure if there's money to be had with microtransactions, Ubisoft will turn The Crew into F2P as they almost never not milk a game for all its worth - the only exception I can think of being not releasing Assassin's Creed: Rogue on PS4 and XB1. Off-topic: Which is a shame, as the game is really great and on par with Assassin's Creed 4: Black Flag in many aspects, and even better in others like the improved naval combat - of which I spent 20 hours easily just playing it for fun. And most console players will never get to experience it at its best with all the visual and technical improvements that are in the PC version, which was released 4 months after the PS3 and X360 versions and it was the perfect time to release it as that would have helped fight off all the negativity against the Assassin's Creed franchise at the time generated by AC:Unity. All they had to do was release PS4 and XB1 versions and market them as an improved AC4: Black Flag 1.5 or 2.0 - this would also have helped with AC: Syndicate sales later in the year which were heavily affected by AC:Unity's problems and is an excellent game. Ubisoft games aren't Steamworks titles, so you're not tracking their total users, just their Steam users. Not that there are loads of people playing any of those games. Rainbow Six seems to have some legs, surprisingly. They are also different types of games. The Crew doesn't really require groups to function. I don't think you can look at Evolve's successful conversion as a model for The Crew. It's far from a sure thing. I don't know much about The Crew. Does it make sense to play it as a "singleplayer"? I mean, connected to the servers ofcourse, but as a fresh player and without any friends on there? Is there something to have fun with, when the social component is left aside? If yes, I wouldn't see the low player count as a problem, or as a reason against a purchase. new or old players of the crew tend to help people new to the game find their feet but im not entirely sure how much longer the games got left beings the summit add on is coming to an end soon.